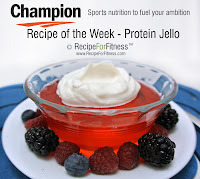 Recipe for Fitness: Champion Nutrition Recipe of the Week - a TRUE Protein Jello! 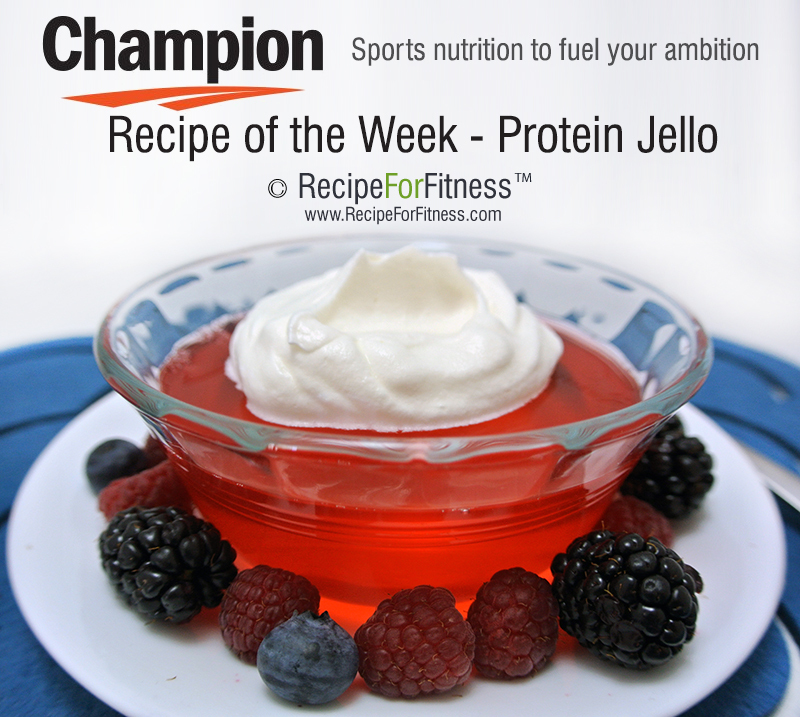 Champion Nutrition Recipe of the Week - a TRUE Protein Jello! 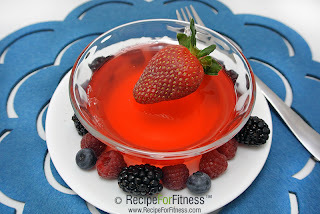 This recipe takes "Jello-Shots" to a whole new level ;-) I recently received @ChampionNutitionUSA Protein Shots in my "christmas" package (it's like Christmas every month when I open up my box! ), and I couldn't wait to play! First off, let me tell you that these taste great, warm or cold (I carry one in my purse, lol). Second, the tube itself will start many conversations. ;-) Anyway! I knew my first recipe with these would be Jello. 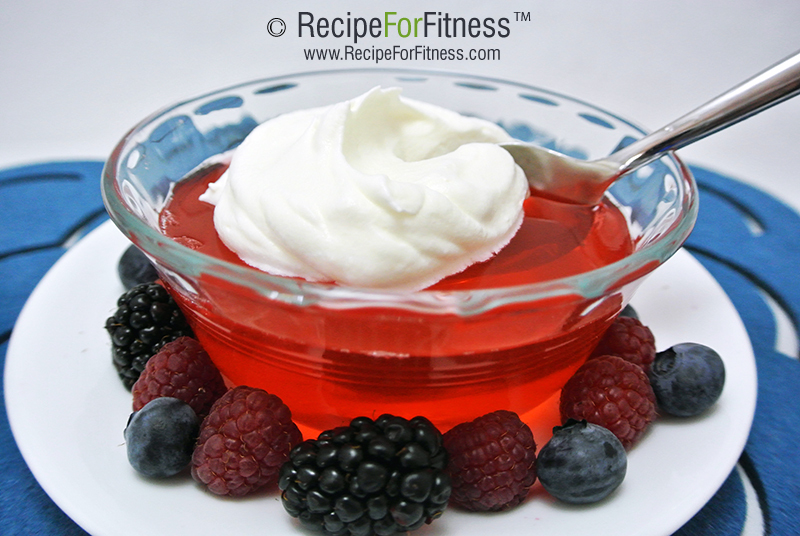 I love the wiggly, giggly goodness that is jello. You might remember my Glutamine Jello (May 2011), or my Glutamine-Green Tea Jello (April 2012) and both are both competition friendly!). 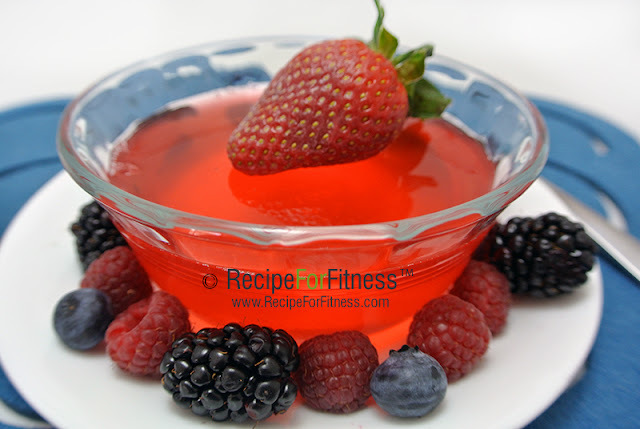 Well, today, my friends, I give you a real Protein Jello! In a small bowl, pour shots, then sprinkle gelatin packets over the top. Let sit 1 minute. Add boiling water and stir 5 minutes or until completely dissolved. Divide between 2 small bowls, cover and refrigerate until set. 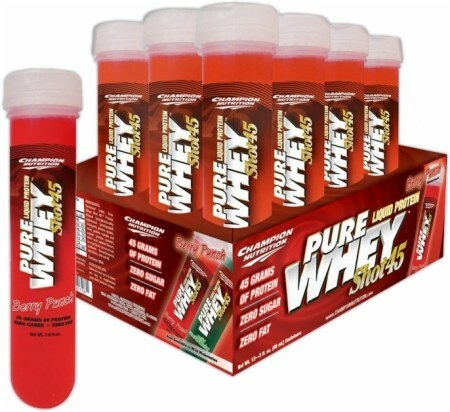 NUTRITION: per serving - 213 calories, 51 g protein, 4 g carbs, 0 g fat, 0 g sugar, 144 mg sodium. TIP: Top with fresh berries and fat-free, sugar free cool whip! YUM!!! (I know the link shows price for a case, but contact them and ask for the 12-packs). Available in Berry Punch and Wild Watermelon. sounds good, i will make sure to buy a pack today. how many scoops do you put in with a package? Hi Vincent - Scoops of what? Are you meaning protein powder? If so, this recipe isn't made with protein powder, but with the pure whey protein shots made by Champion Nutrition. If you click on the link above you can find the product online. 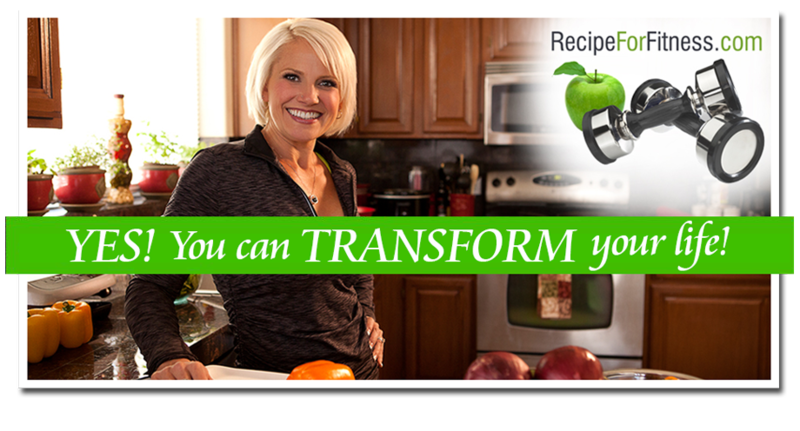 It's a great product, tastes fabulous! 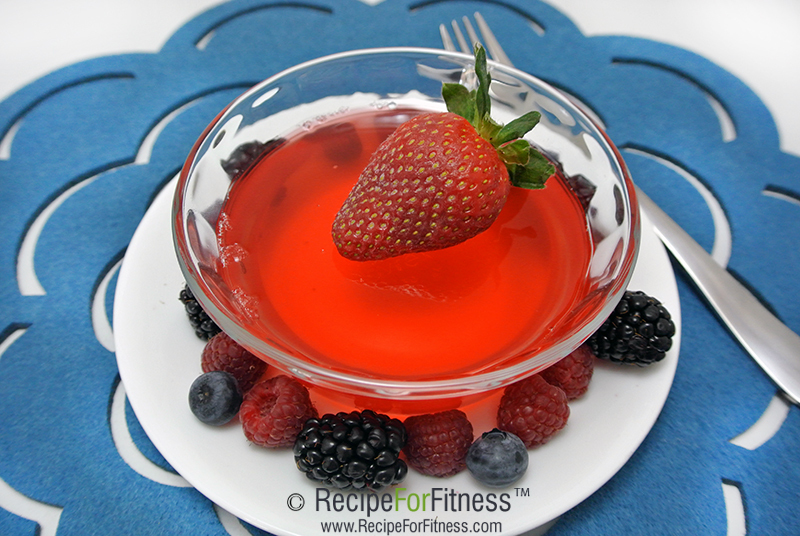 And the resulting jello is full of flavor- none of my tasters could tell this was a "protein" recipe! :-) YUM!